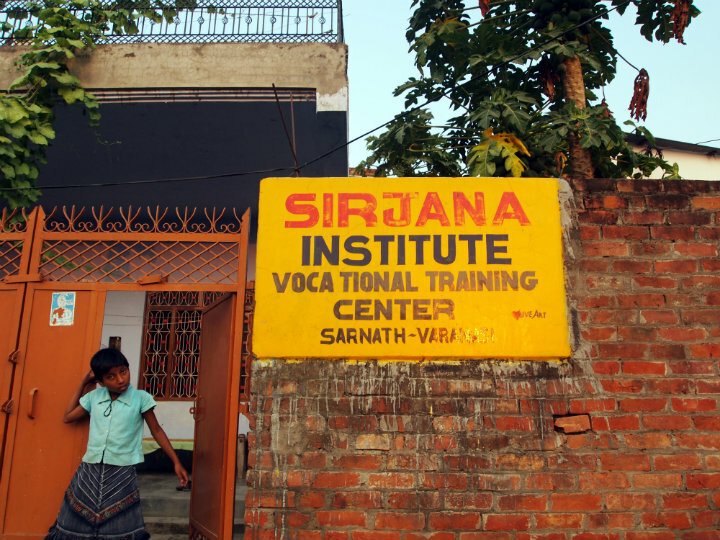 The Sirjana Institute facilities serve women and girls, allowing them to create their own path out of poverty. Sirjana Institute also sponsors the education of young children. Here is Preete and her younger brother. One of Sirjana's sewing students, Priti, creating dresses as a class assignment. The sewing students at a center in Chahi. These women complete an eight month course and then are able to get jobs in the field. One of the girls, Mala, practices her sewing for the Sirjana Institute's vocational program. On a 2010 visit to India, TFI came across the Sirjana Institute. This Institute strive for important contributions to improving some of the long-impoverished communities in Varanasi. 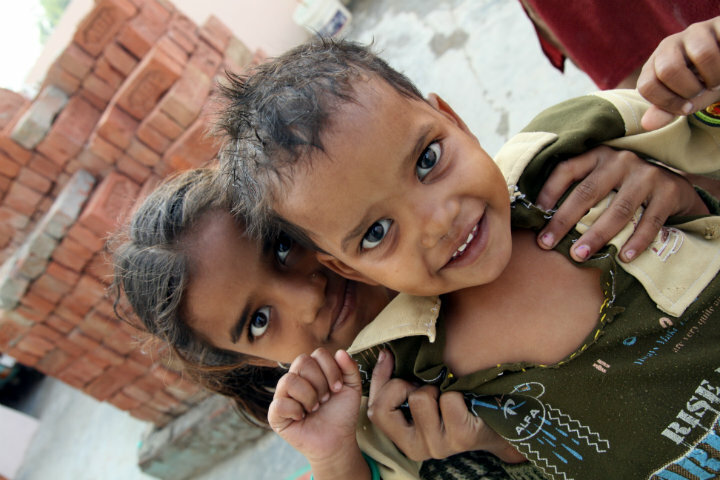 Rather than breaking the cycle of poverty, young girls in these areas have very few options. In fact, these girls options are marrying young and having children, thus not allowing room for economic development. Under those circumstances, Sirjana offers vocational training to women and academic scholarships for their children, Sirjana offers hope for the future in the communities that they serve. Graduates are given assistance to find jobs in their learned trades, which include sewing and beauty salon services. To donate specifically to the Sirjana Institute, write “Sirjana” in the comments section.